The information below is enough to get you through the ICBC Road Test. If you would like us to run a practice test (video below) with you. Please click here. The best advice we can give you on passing the ICBC Motorcycle Road Test is, riding. Be comfortable with the motorcycle you’re on and spend a lot of time riding. Some people can pass the test in as little as 10 hours of riding, others may take 100 hours of riding. We all learn differently. Don’t be in a rush to get this test done and over with. We rent motorcycles to 1st Gear students only. If you are a 1st Gear Student and would like to rent a motorcycle please make sure you’ve done all road rides. If you are not a 1st Gear Student we will not rent you a motorcycle. Please contact CycleBC. Click Here to book your ICBC Road Test (ICBC Website). Be aware that the waiting period is 1-3 months. Check back daily for cancelled times. You can show up at ICBC and hope that the scheduled rider doesn’t show up. The shortest waiting time is the Victoria ICBC location. 1. Shoulder check every lane position (position 1 to 3 or 3 to 1) and ALL lane changes. 2. Go 5-7km/h above the speed limit. Don’t be the fastest, don’t be slowest. 3. Go just under 30km/h in a school or playground zone. 4. When turning left be in the left part of the lane (lane position 1). When turning right be in the right part of the lane (lane position 3). When turning right, ensure you check over your right shoulder for cyclists, every time. 5. Stop BEFORE the white stop line. Never stop on it or over it. You will get a point or they might fail you for crossing it. 6. When performing a Uturn, shoulder check every move and use your signals. Shoulder check and signal to the right to pull over (stopping not required). Shoulder check and left turn signal to perform the uturn. Pull to the other side of the curb, shoulder check and signal left to re-enter the road. Be sure there are no moving vehicles around. 7. When going up a hill or when there is a car in the oncoming lane waiting to turn left, shoulder check and move over to the right portion of your lane (position 3). 8. When parking stop, check both sides via shoulder check. Turn on a signal, and back the bike up so the back tire is against the curb. 9. When exiting a highway DO NOT slow down to the speed displayed on the YELLOW posted sign. This is an advisory and recommendation. If traffic is backing up behind you because you are going too slow on the off ramp, you will be marked. Go with the flow of the traffic. Don’t be the slowest, don’t be the fastest. 10. Stop 3 meters, 10 feet, or one car length before all vehicles. Do not stop right behind them. 11. Scan left and right before all intersections and railway crossings. Including when you are stopped at an intersection and light changes from red to green. 12. Stay in the lane position 1. Use lane position 3 occasionally as necessary. When riding in lane position 1 do not get too close to the center line. If you are too close they will issue points and fail you. Top Three Things NOT to do on your road test. These are the most common reasons to fail that we are observing for 2015. 1. Speeding through school and playground zones. They’ll sneak these in with some left and right turns. Always look for the school or playground zone signs and keep aware of big open spaces that look like parks. 2. Crossing a White Solid Line. These appear at intersections, bus lanes, HOV lanes, and bike lanes. ALWAYS make sure you are not crossing a white solid line when changing lanes. 3. Not speeding up to merge onto the highway. GET UP TO SPEED and move into traffic. DO NOT wait for a car or truck to make space for you. If you can’t keep up to the car in front of you in the driving lane (slow lane), speed up! 4. Not doing deep right shoulder checks when turning right when moving or stopped. They must see you turn your head back to the right to check for cyclists. Not just a simple check. 5. Riding too close to the center line. Yes, you have to be in lane position 1 most of the time but don’t get too close to the center line. They hate that. Go for the bonus brownie points! 1. 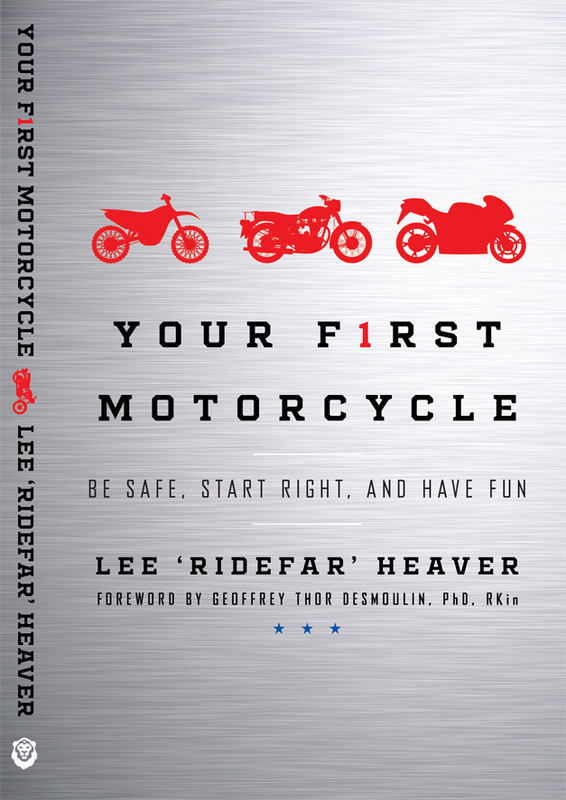 Make eye contact, shake their hand, tell them your excited to get your motorcycle license. Be the person they want like. Be so awesome, that they will feel bad giving you points. Don’t be arrogant or ignorant. *** We’re just kidding but who doesn’t like compliments and cookies. Will I be marked if I go too slow in rainy wet conditions? especially going downhill! On a multi lane road which lane position do you want me to be in? This is a good question as we get conflicting opinions on when and where to be. Do you want me to slow down in school and playground zones? If it is a holiday or summer, ask this. Since Construction speed signs are inconsistent will you penalize me for going to slow in orange coned areas? Construction zones are everywhere and not all of them are clear where they stop and end. How much does it cost to pass the test? DO NOT ask this, we just can’t resist making a joke. Not our video but a very good one! Click Here. ICBC website link. Have a question? Did you pass the Road Test? Tell us!